It's important not to forget the little ones on your big day! 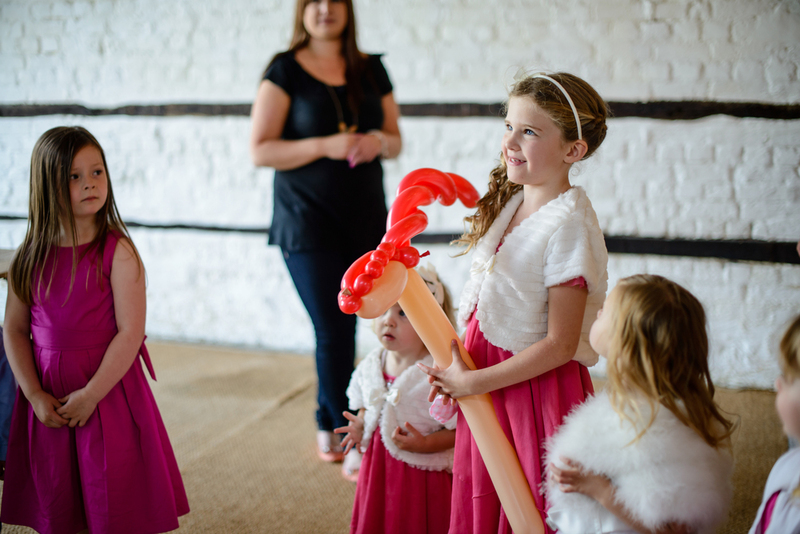 There are some occasions where keeping them entertained and thoroughly distracted can really lend a big helping hand to keeping the wedding running smoothly. This can feel like a long time for the children where they may just be called in occasionally for the odd photograph so here's a soloution. Wayne Wonder's amazing balloon sculptures, I can create almost anything the children can dream up with their vivid imaginations and because my creations really capture their imaginations they love to play with them. This can keep them amused for a very long time. Again this is a moment where the children really need to keep the noise down so the grown ups can hear the brilliant anecdotes and of course it's something that the children find really difficult to do. I can be on hand to provide a 45 minute Magic and Puppet show just for them to keep them smiling.